Alibaba Group Holding Limited and Marriott International are collaborating in a joint venture for a digital travel experience for Chinese tourists estimated at approximately 700 million travels over the next five years. Internet and hotel giants announced a strategic partnership in the travel industry to provide more personalized digital travel services for mainland Chinese tourists. "We are redefining travel experiences for Chinese consumers to be more smooth and personal when they embark on an adventure to discover the world," Alibaba CEO Daniel Zhang Yong said in a statement. The joint venture will manage and operate Chinese digital channels that include Marriott.com and Starwoodhotels.com platforms in China, the Marriott mobile app, manage Marriott's storefront in Fliggy as Alibaba's flight service platform. The new business is directly distributed to Alibaba's customer base to support a globally customized Marriott hotel for Chinese travelers. The strategic partnership will also use Alipay for online payments at selected hotels with further expansion plans at other locations. 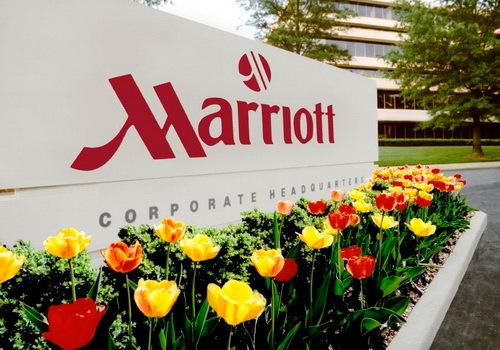 "We combine our hospitality expertise with Alibaba's digital travel platform, retail expertise and digital payment platform, Alipay, and introduce our hotels around the world," said Marriott International president and CEO Arne Sorenson. Marriott International manages over 6,200 properties in 30 leading hotel brands, including JW Marriott, Ritz-Carlton, St Regis and W Hotels in 125 countries. Data by iResearch showed China's online travel market volume reached 590.4 billion yuan (US$87.7 billion) in 2016 or up 33.3 percent from a year earlier.